Find hotel near Urban Retreat Bangkok Aso .. If you belong to the group of spa-goers then you must consider paying a visit to Urban Retreat Bangkok Asok Branch where you would be delighted to enjoy a professional spa service at an affordable price. Only high quality professional staffs are appointed here to deliver best ever spa services. Cleanliness is maintained in the spacious interior of this spa and only finest spa products are used in massage or therapy services. Fresh towels and herbal balls are used for each client. 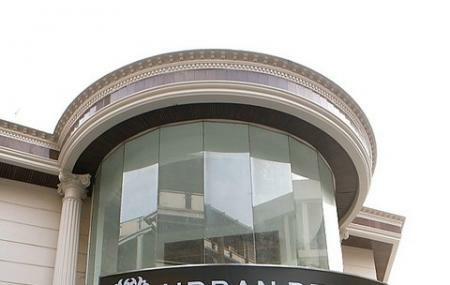 A wide range of services offered by Urban Retreat Bangkok Asok Branch includes – body massages, body mask, spa packages, beauty treatments, waxing and other herbal therapies. I came here to get my eyebrows and upper lip cleaned up. The lady who did it for me was so kind and gentle with me. I have fine light eyebrows and just told her to clean it up though it may not look like I needed it and she did exactly what I asked for. All the products she used smelled delicious and was very calming. They even let you borrow some slippers and I felt like I was walking on clouds. The worst spa experience in Bangkok. Highly overrated. Price is not competitive. The quality of service is poor - the staff are unfriendly or even rude. We had a dead sea body mask in our treatment and to our surprise, with no briefing beforehand, the staff exposed us under strong AC (without any towel to cover) and applied cold dead sea mud on our bodies. The staff did not even care to ask if there are areas we would like to avoid during the massage treatment. Feel like a dodgy massage place charging the price of a hotel spa package. We got Swedish massage 60min 1000baht. My expectation was low but it was surprisingly so good!! Highly recommended. I won’t come here again!! The service（not masseuse) was not good... I suggest you go somewhere else is better than here!!! Btw why I have to share the same room with others?